Here’s a scary statistic for you; since about the year 2000, the world prison population total has grown by almost 20%, which is slightly above the estimated 18% increase in the world’s general population over the same period. What studies have shown is that there are multiple factors that can cause these fluctuations on a continental, country and state level – often attributed to social, political, economic and institutional influences. For example, some changes can be accredited to the poverty rate, variations in criminal justice policies, or may even involve drawing comparisons between past offenders, the length of time served in a correctional centre and the recidivism rate. But one thing is certain; imprisonment rates on an international level are growing, and with this comes an increase in spending and resource allocation in the custodial market (policing, staffing, court administration and adult corrective services). To use Australia as an example, the country is currently ranked as the fifth most expensive correctional centre in the OECD on a per prisoner basis and holds more police per capita than all other common law countries except Ireland. Certainly not an Aussie taxpayer’s favourite item to spend on… but what if there was a better solution? A way in which we could alter the lifecycle of a prisoner by re-engineering prison design to assist with rehabilitation back into the community and, in turn, reduce the chances of re-offending. In recent times, it has become a greater concern to evaluate the structure, layout and aesthetics of a correctional centre environment. Moving away from a historically harsh, dull and isolated setting and looking more closely at whether it is fit for purpose for those who work and live within it. You see, our surroundings affect our mental health and our willingness to participate in learning and social activities. For prisoners, safety and security play an integral role in this encouraged behaviour, with health and well-being considered as prerequisites to enable rehabilitation and successful resettlement. On top of design assets, such as natural light, sound and colour palette being put forward by architects, fast-moving technologies, such as biometrics, are enhancing the criminal justice system by adding value to what was once solely reliant on paper-based processes, physical access cards, CCTV and passwords. Now, we are taking advantage of our individual biometrics, such as fingerprint, iris and facial recognition, to create personalised digital passports which inspire greater accountability and provide safer and more efficient ways of living and working within a correctional centre. In an aim to mirror mainstream life in a correctional centre, these technologies are great for introducing mechanisms that are already present in the real world today – think of the application of biometrics in Apple’s TouchID, digitised banking, and border security at airports. Applying these uses to correctional centres, some inmates might soon be able to book medical appointments, choose meal options and check how much money they have! Whilst this all sounds great, we must look at how implementing new designs could pose a logistical risk in transporting prisoners and how inmates and workers can be protected from others and themselves. As Architectural Digest identifies, we’re now mixing two completely different worlds; design and justice. So how are biometrics being seamlessly integrated with traditional prison designs to provide positive changes across the prisoner lifecycle, specifically with rehabilitation? By creating custom IDs at the time of arrest, biometric technology is used to reduce delays in bail reporting by using self-service terminals to, 1. Speed up the time it takes for an offender to report and 2. Reduce the manpower required for bail reporting so that efforts can be used in other areas of focus, such as control, security and mustering inmates from point A to point B. If you consider the variety of genders, age groups, cultures and severity of offences that make up the diverse prison population, it is vital that measures are put in place to enhance the tracking of inmate movements and ensure the safety of everyone inside the correctional centre. Here we can look at using modalities such as access control and time and attendance to increase the surveillance and accuracy of identity; guaranteeing that the right people are in the right place, at the right time. 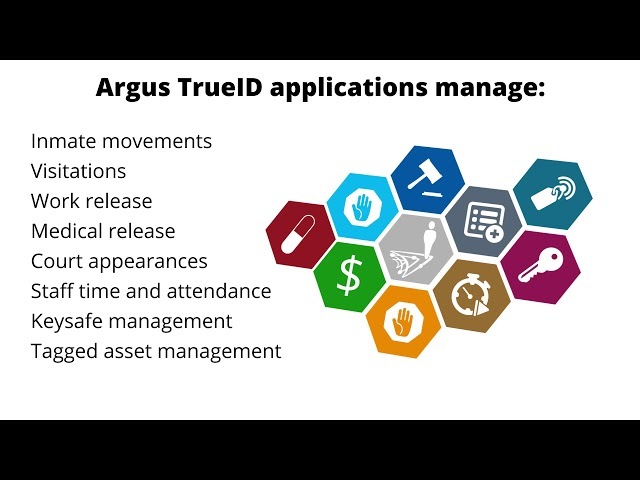 In terms of contributing to the quality of life across the correctional centre, these solutions reduce the amount of illegal and fraudulent activities that take place every day due to false identification which often lead to swapping identities, incorrect drug dispersal, and even early release. For correctional staff, the same technology can be seamlessly integrated into existing security systems and prison designs, to allow for improved tracking of officer movements in low and high-risk areas. In addition, key safe and tagged asset management solutions offer the benefits of screening workers for accreditations and carrying out thorough equipment checks to verify that the officers have the appropriate tools they require to carry out tasks in their assigned areas. Imagine being able to access billing records, medical records, past criminal history and evidence tracking all at the touch of a finger. Consider how much time an officer will save, not to mention the ability for authorised staff to positively keep tabs on an inmate’s attendance to rehabilitation and educational programs, providing useful information as to whether the inmate will successfully assimilate back into society. For inmates, visits from family and friends can provide encouraging social support and an increase in mental well-being, whilst for some, it has also been proven to leave feelings of negativity, strain and emotional anxiety – making it even more important to ensure that the correct people are being granted visitation rights and access to appointments. Biometric solutions, such as visitor management, allow the correctional centre to enforce visitation rules by screening the attendee for correct information, at the same time providing benefits to the visitor of quicker check-in and effortless access. Landing at the end of the prisoner lifecycle, we can see how technologies are being incorporated into prison design to encourage successful rehabilitation and reduction of reoffending. Devices such as GPS tracking technologies and biometrically enabled touch-screen kiosks are being used upon release back into the community to reinforce the habit of accountability and account for more accurate ways of tracking a parolee’s whereabouts. For more information on identity management in justice and corrections, click here.